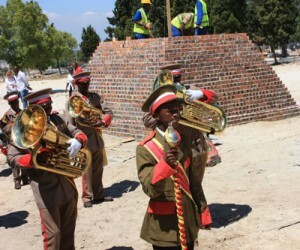 A memorial site will be constructed at the City of Cape Town’s Stikland Cemetery to commemorate the lives of 12 political prisoners from Robben Island who were buried there in the 1960s. 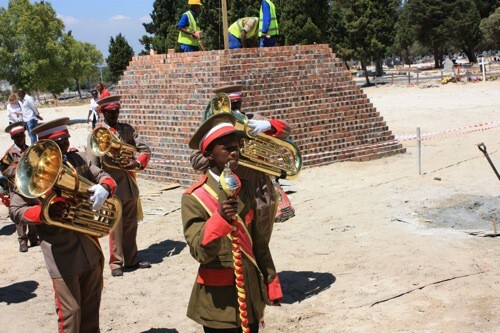 The memorial site will be dedicated to the memory of Messrs Simon, Langben, Kula, Mani, Maliwa, Khalipha, Mvalwana, Mqalu, Poni, Makisi, Batyi and Mkele who were buried in unmarked graves. In 2008, the Mvalwana family contacted the Robben Island Museum in search of the details of the death and burial of their grandfather. The National Prosecuting Authority (NPA) and the Museum’s Research Unit approached the City in 2009 to request permission to go through the City’s cemetery burial registers to look for deceased missing persons. The names of Mr Mvalwana and other Robben Island ex-political prisoners were found in the Stikland Cemetery burial registers. When the prisoners’ relatives were informed of this discovery, they expressed the wish to exhume the remains and rebury them in the Eastern Cape. In May 2009, representatives of the 12 ex-prisoners’ families were invited on a pilgrimage to Robben Island and they also visited Stikland Cemetery to reconnect spiritually with their deceased relatives. In 2010, the NPA made an application to the South African Heritage Resources Agency to obtain a permit to perform an archaeological study. City Parks was requested to estimate the approximate position of these graves in the absence of a layout plan. The first of three archaeological excavations began in 2010 to find the remains of the missing persons in the unmarked graves. In February 2011, despite extensive digging, the archaeologists reported that they had not been able to successfully locate and positively identify any of the remains for exhumation purposes. It was decided, in consultation with relevant parties, particularly the families of the prisoners, that the burial area would be landscaped and a memorial would be erected, which will serve to restore the dignity of the men and provide closure to their families. In addition, City Parks has agreed that no further burials will take place in the burial block where the prisoners were buried.